Paul Newman was born in Shaker Heights, Ohio, in 1925 and he grew up to become one of Hollywood's best-known actors. He starred in over 60 movies and won an Oscar for his role as Fast Eddie Felson in the 1986 movie, "The Color of Money." 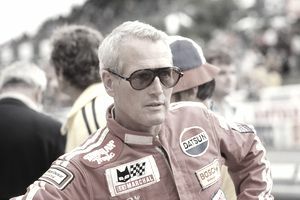 Newman was also a director, a race car driver, an auto racing team owner, and a philanthropist. He co-founded Newman's Own, a food product line that donates all after-tax earnings to charity. He died on September 26, 2008, at the age of 83. The value of the late actor's estate was estimated to be over $600 million, and his estate plan included a last will and testament with some comprehensive provisions. Newman married his first wife, Jackie Witte, in 1949. They had three children together: Susan, Stephanie Kendall, and Scott. Newman divorced Witt in 1957. Son Scott died in 1978 of a drug overdose. Newman married his second wife, actress Joanne Woodward, in 1958. They had three daughters, Elinor "Nell" Teresa, Melissa "Lissy" Stewart, and Claire "Clea" Olivia. Newman and Woodward were still married at the time of Newman's death from lung cancer in 2008. Paul Newman signed his last will and testament in Westport, Connecticut, on April 11, 2008. He then signed a short first codicil to the will on July 24, 2008. A codicil is an addition or amendment to one or more provisions contained in the will. The witnesses to the will were Carolyn Murphy of Bridgeport, Connecticut, and Charles T. Wright of West Hartford, Connecticut. The notary public was Judith M. Keppleman. The witnesses to the codicil were Cora Casem of Queens, New York and Myriam Babel of Monroe, New York. Keppleman again acted as the notary public. Newman appointed Brian Murphy, an accountant and celebrity business manager from Manhattan Beach, California, and Robert H. Forrester, an executive with Newman's Own Foundation from Avon, Connecticut, as co-executors of his estate. He also made provisions for a third co-executor to be selected by majority vote of his daughters. The 15-page will and the three-page codicil included the following provisions. The executors were directed to sell all airplanes and race cars Newman owned at the time of his death. The sale proceeds were to be added to his residuary estate, that which would remain after all other bequests were made. All Newman's Oscars and his other theatrical awards were bequeathed to Newman's Own Foundation. This included his best-actor Oscar for "The Color of Money," as well as two honorary Oscars, three Golden Globes, a Screen Actors Guild award, a Cannes Film Festival Award, and an Emmy. All his other tangible personal property, including household furnishings, art, personal effects, musical instruments, and other automobiles, were bequeathed to his wife, Joanne. Any promissory notes payable to Newman by any of his daughters or Cora Casem, one of the witnesses to his codicil, were to be bequeathed to each payor if Joanne Woodward predeceased her husband. In other words, the debts would be forgiven if Joanne passed away first. All Newman's interests in the companies Coleytown Productions, Inc., Aspetuck Productions, Ltd., and Newman Foreman Productions, Inc., as well as any other entities that received royalties, profit participation or residuals representing payment for his services as an actor, were bequeathed to the trustees of the Amended and Restated Newman Living Trust Number One. The trust was to be held and administered in Marital Trust B for the benefit of his wife, Joanne. Newman additionally directed that the executors would have no rights to sell any of these property interests. All publicity and intellectual property rights, as well as all Newman's interests in Newman's Own, Inc., Salid King, Inc., and No Limit, LLC, were bequeathed to Newman's Own Foundation. Newman's April 2008 will left all real estate, "wherever situated," to Joanne, but the July 2008 codicil revoked this section of the will. It replaced it with a section titled "Westport Residential Real Estate." This provision left only the real estate located in Westport, Connecticut, to Joanne. Newman's residuary estate was left to the trustees of the Amended and Restated Newman Living Trust Number One. The will gives the co-executors special powers with regard to Newman's publicity and intellectual property rights. They were to take any reasonable measures to manage, control, and protect these rights, including appointing one or more advisors for the purpose of conserving and protecting them. "forfeit and cease to have any right or interest whatsoever under my will, and, in such event, I direct that my estate shall be disposed of in all respects as if such beneficiary had predeceased me." In other words, if anyone challenged any aspect of his estate plan in court, that individual would be cut out of Newman's will, codicil, or trust, and would receive nothing. Such a clause is intended to make beneficiaries think twice about contesting if they don't like the contents of an estate plan. A search of the internet doesn't reveal a copy of Newman's trust agreement or even a summary of its contents, but that's to be expected because trust agreements are not a matter of public record. It, therefore, remained a private document that only the beneficiaries and trustees have been entitled to see, at least to date. In contrast, his last will and testament become a public court record that anyone can read, and that's exactly what happened when it was filed for probate in Fairfield County, Connecticut, in November 2008. Even though Paul Newman's will was very specific about what was to happen to his tangible assets, corporate interests, and intellectual property rights, it was effectively a pour-over will that did not reveal any details about what would happen to Newman's intangible assets. These include cash, stocks, bonds, and other investments, or any real estate other than his Westport, Connecticut property. It can be assumed that these assets are covered in his trust agreement. What Did Newman Do Right? Newman's estate plan was comprehensive and well thought out, and we do know one thing about his trust. It obviously included AB trust planning because the will bequeaths certain assets to "Marital Trust B" for the benefit of his wife...and this was smart. The federal and Connecticut estate tax exemptions were both just $2 million in 2008 at the time of Newman's death. This plan was put into place to delay the payment of both federal and Connecticut estate taxes until after Joanne's death. Woodward was still alive as of 2018—and the federal estate tax exemption has increased to $11.18 million. That's $9.18 million more available to help shelter the estate from estate taxes, which are only due on the balance of the value of an estate over the exemption amount.